Keith House: Good news for bad times? 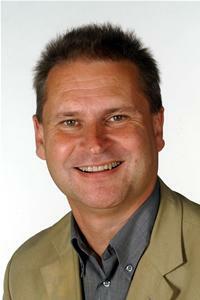 Details of Eastleigh Borough Council’s budget for 2010 have been revealed by the leader of the Council , Keith House. In a largely ‘good news’ pre-election budget speech the Lib Dem Leader revealed he planned to make 50% efficiency savings without any cuts to services or staff redundancies and that Council Tax increases would continue to be pegged below the rate of inflation. Here are the main points of the speech. Cllr House pointed out that Council Tax increases had been pegged below inflation for the last seven years claiming this was a feat unrivalled by other local councils. Criticising other councils for freezing Council Tax increases as an election strategy, he then went on to announce that Council Tax rises in Eastleigh would continue to be frozen at 1% below the retail price index for a further three years. He pointed out in the absence of guidance from the government on funding, the council would be anticipating a cut in government support as a result of spending cuts. He reported that the recession had impacted on revenue. There had been a fall in income from planning fees and the council accepted they would not achieve full occupancy of Wessex House, the council owned office block on Upper market Street. He declared there would be a reduction in travelling allowances and that in order to further transparency in local government , details of council members interests would be published on the Borough ‘s ‘new look’ website. Announcing that the council had achieved ‘carbon neutrality’ ahead of schedule he also revealed it was close to achieving its 50% recycling target. Cllr House hailed the creation of new Parish Councils in Chandlers Ford and Allbrook as a boon to local democracy which would result in lower Council Tax bills for the residents and that the first elections would be held on May 6th. Summing up he said he was not despondent about the effects of the recession. He reiterated that the Council tax increases over the last seven years were equivalent to an 11% overall rise which he claimed was one of the lowest in the country saying that the average Eastleigh resident would actually see a small reduction in the amount they have to pay. There was no mention of the council’s liabilities or the cost of borrowing requirements, in respect of the £32 million loan for completion of the Rose Bowl project. Read Cllr House’s speech in full here. What do you think of the Council Budget? Too good to be true? Come on! Don’t be shy! Council Tax bill going down? Dont make me laugh! What about the stealth taxes?Resident parking fees have DOUBLED. I have to pay an extra £50 a year to park outside my house and £25 a year for my grass clippings to be taken away. My dustbins only get emptied once a fortnight, or once a month in winter if its snowy. Does Mr House really think the voters of Eastleigh will fall for this very cleaver ‘Cooking of the Books’ routine any longer..?? You insult us sir with your ‘Good News’ budget. I have read the report very closely and it does not add up..!! I find no mention of the £200,000.00 of fees, paid by us the voter, for the Swan Centre extension, no mention of the 1 million pounds of borrowing required to pay for the car park repairs, no mention of the 32 million pounds for the hotel, no mention of the 3 million pounds poured into The Point which has a falling attendance record despite the claims that it would double its revenue.. in fact I cannot find any mention of any REAL expenditure that would benefit the voters of this town. Lots of talk about cuts though..!! No mention of the amount of theft of public land stolen from the people of Eastleigh, no mention of the destruction of allotments across the Borough, no apologies for the shockingly poor collection of rubbish, no comment on the huge increase in unemployment and empty retail units in the town..
It’s very easy to pretend that you are saving the Council Tax Payer money when you are removing essential services and forcing stealth taxes on the very people you are meant to be serving.. NOT SHAFTING..!! Wake Up Eastleigh.!! It’s time to fight for OUR Town, It’s time to fight for OUR services, It’s time to for OUR children’s future.